Are you still mad about the Time thing? Just to recap: Photographers asked Trump and Merkel to shake hands. 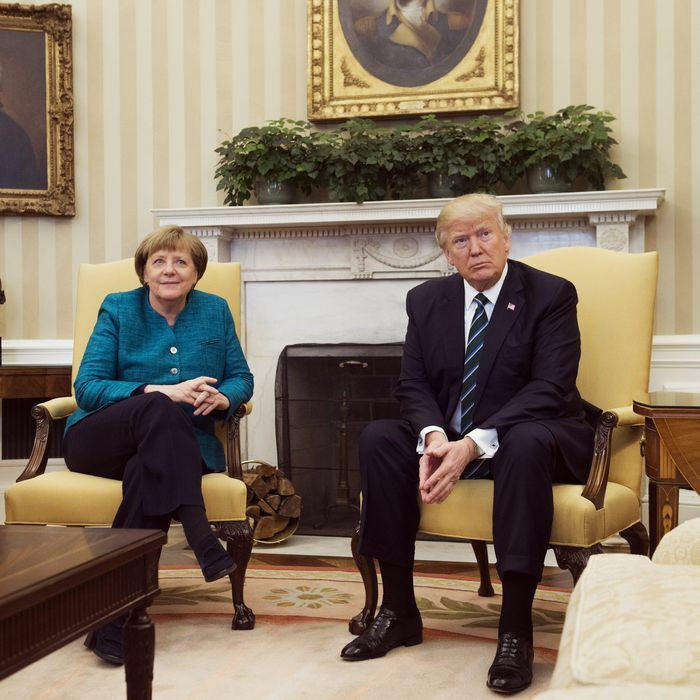 Merkel leans in and quietly asks, “Do you want to have a handshake?” Trump continues to sit with his hands clasped between his knees. Like we’ve said before, Trump does not forget.